Mangaluru/ Udupi, May 23, 2015 : : As per reports available, 7,619 candidates are contesting 3,288 seats in 227 gram panchayats in Dakshina Kannada district. It is stated that 109 candidates have been elected unopposed. No nominations have been filed for two seats namely Mallur first ward (ST woman) and Mallur second ward (SC woman) in Mallur gram panchayat of Mangaluru taluk. 667 SC, 536 ST, 1702 backward classes, 416 backward B category, 4298 general category candidates have filed nominations. The latest count indicates that 4,759 candidates are in fray for the 2,126 seats in 155 gram panchayats in Udupi district. The number of available seats are 2,398, a total of 272 members have been elected unopposed. Two thousand two hundred and thirty nine women are contesting the election. A total of 325 SC, 311 ST, 1131 backward classes, 259 backward class B category, 2733 general candidates are contesting the election. In Kundapura the number of candidates elected unopposed are 142, Udupi-90 and Karkala-40. For 733 seats in 62 gram panchayats in Kundapur taluk, a total of 1,712 candidates are in fray. Two thousand and eighty two candidates are contesting for 941 seats in 59 gram panchayats of Udupi taluk and 965 candidates are contesting for 452 seats of 34 GPs in Karkala taluk. 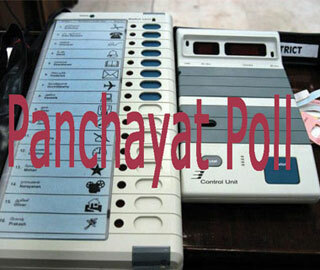 No party symbols : The candidates contesting gram panchayat elections have been prohibited from using political party symbols or pictures of political party leaders in their electioneering. Violating this rule, will entail election materials of such candidates to be confiscated and cases under model code of conduct will be booked against them. The code of conduct will be in force only in the respective Gram Panchayat limits and does not apply to town panchayats/city municipalities and city corporations. Udupi Deputy Commissioner R Vishal has issued notice to Udupi taluk polling officials for absenting them selves from the training, held at St Cecilia High School in Udupi, seeking why disciplinary action can not be taken against them under People’s Representatives Act 1951 Section 134. A second round of training programme will be conducted on May 24, for those who have failed to attend the training programme. Strict action will be initiated against those who failed to attend the same.